One of my favorite songs performed at this year’s A.V. Fest/Hideout Block Party and really, I guess, one of my favorite songs—was “In The New Year” by The Walkmen. Guitarist Paul Maroon said it wasn’t necessarily one of the band’s favorites, though it’s been performed at practically every Walkmen show since it was released, on 2008’s incredible You & Me, so the band must like it a little. Maroon remarked that he thought the studio version sounded a little harsh, but I think that’s a big reason I love it. Like so many Walkmen songs, its lyrics feel like greased-lens snapshots of youth, and it’s the best song in the band’s catalog that pairs that feeling with a sense of almost unrestrained joy. (Maroon also cited “On The Water” as the band members’ consensus favorite, and that’s more of an example of restrained joy.) 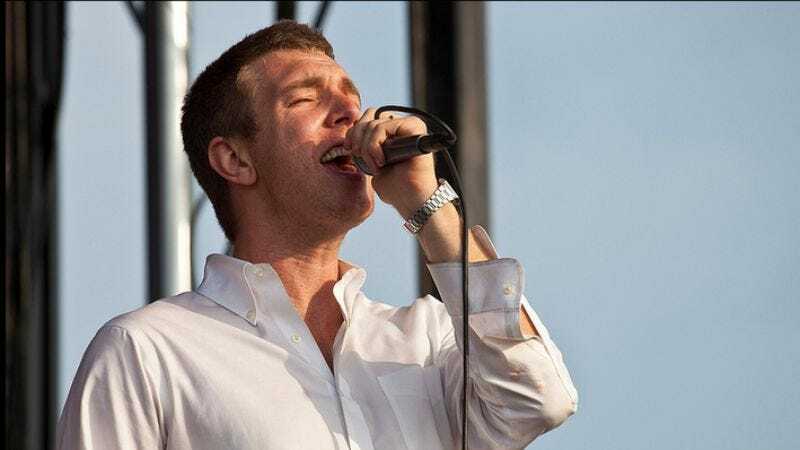 “In The New Year” begins with just Maroon’s simple, reverberating guitar line and Hamilton Leithauser’s voice (could a lyric get more Walkmen-like than opening line “Oh I’m still living at the old address”? ), and they’re joined about 30 seconds in by the rest of the band. The pattern repeats, with the full-band parts—particularly a beautifully stumbling organ line—rushing to ratchet up the sentiment and tension with every round. It might make the most sense to start Walkmen newbies with “The Rat,” but for my money, “In The New Year” is the song that best defines the band.